Dubai markets plummeted on the first day of trading since the collapse of the state-owned Dubai World conglomerate. There was no trading last week in Dubai because of the Eid al-Adha festival and analysts had been predicting carnage when the exchange opened. Al Jazeera‘s Dan Nolan says the financial indicators are “all flashing red” and the main bourse dropped 5.6 per cent instantly. Major securities in the construction and banking sectors fell to almost the 10 per cent maximum allowed. The Nakheel property developer at the centre of Dubai World’s problems took its bonds off the Dubai and Nasdaq stock exchanges. The meltdown followed world markets which crashed on Thursday when Dubai requested a debt standstill. The government’s investment arm, Dubai World, asked investors for more time to make debt payments. “Dubai’s flag bearer in global investments” is now $60bn in debt and has sought a six-month moratorium on repayments. This is greater than Dubai’s GDP meaning the Gulf emirate is now officially bust. 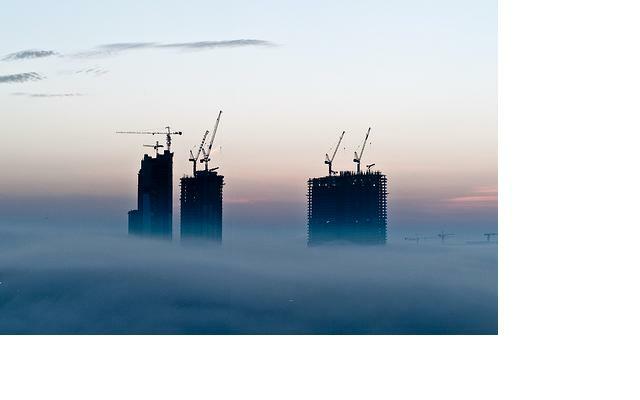 The construction boom that turned Dubai into an international business powerhouse has fallen in a heap. The Dubai news sent shockwaves through world markets. The emirate borrowed $80 billion to fuel the boom and in the global recession investors are deserting Dubai in droves as it becomes “toxic”. Profits have declined and assets are worth a fraction of boom prices. Sheik Mohammed bin Rashid Al Maktoum has been feeling the pressure of the crisis. The Al Maktoum family has run the emirate since 1833 and doesn’t like criticism. Sheik Mohammed told journalists to “shut up” last week when they questioned him about tensions between Dubai and the other senior emirate partner Abu Dhabi. There was more blatant media censorship yesterday. Authorities removed yesterday’s London Sunday Times from circulation which had a double-page spread illustration showing Al Maktoum sinking in a sea of debt. An executive of the paper in Dubai said The National Media Council ordered it blocked by distributors without a reason. UAE’s media code prohibits publications from criticising the emirs and local media slammed international press coverage of the debt crisis. International markets were calmed after the UAE’s Central Bank offered to stand behind Dubai World’s debts. Abu Dhabi’s emir, Khalifa bin Zayed bin Sultan al-Nahyan, who is also president of the UAE said his government will bail out his debt-laden neighbour. Later this week, the Emirates Government will underwrite payment of a $4 billion bond for Nakheel, Dubai World’s real estate developer, a bond which matures in two weeks. Abu Dhabi will extract a high price for bailing out Dubai. It could take over lucrative assets such as the Emirates airline, Dubai ports business and the International Financial Centre. It may also impose stricter Islamic standards on acceptable public behaviour. Abu Dhabi always looked askance at Dubai’s ostentatious wealth and brash culture of borrowing and exploitation of cheap labour. Without Abu Dhabi’s oil, Dubai launched an ambitious strategy of economic growth which turned a sleepy Arab fishing village into a global trading metropolis in 30 years. With the world still not ready for climate peace, there is only one reason to sign the Federal Government’s Carbon Pollution Reduction Scheme into law before Copenhagen. That reason is not about the “good faith” of an expedient political bargain that will be just as valid in February. Nor is not about being good for the environment because that is unproven. It is certainly not about the soul of the Liberal Party (though the extraordinary public immolation of Malcolm Turnbull is quickly burning all its bridges). Nor for that matter is a CPRS about making Kevin Rudd look good on the world stage – he doesn’t need any more help with that. No, the only thing a Senate agreement this week will be good for is for something Rudd is good at: apologising. The CPRS is a statement of intent for an emissions trading scheme. For two decades the world has known climate change is a serious problem. 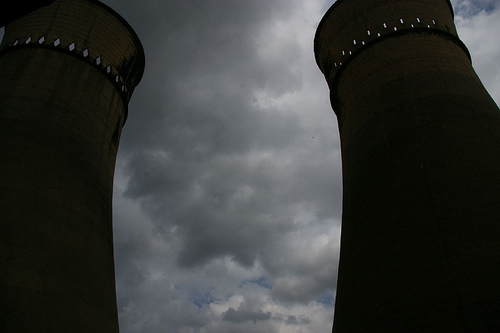 For the last 10 years the world has been on an irreversible path towards an ETS solution. The Kyoto Protocol was the first imperfect draft. Like any multi-lateral compromise it was botched to begin with. It was fatally undermined by the lack of inclusion of the BRIC countries and then destroyed when the Bush 43 administration reneged on the US’s promise to take part. Of the developed nations, only Australia also opted out. Australia knew the climate science but as a country highly addicted to carbon was reluctant to accept the long-term diagnosis. It decided the survival of Australia’s carbon industries was too important to risk to a global treaty and opted out. Not until 2007 and defeat staring him in the face did John Howard bow to the inevitable and made an ETS government policy. As Alan Koehler noted today, it is mostly his scheme that is before parliament. But whether it is Howard’s or Rudd’s or Turnbull’s is immaterial. What matters is that Australia will eventually have an ETS of sorts. It will pay dearly for the unnecessary years of delay and will have no one to blame but itself. But others may want to apportion blame to Australia’s prevarication. The country is the biggest per capita carbon emitter in the world and has thumbed its nose at collective action for 12 years. Why should Bangladesh or Malaysia rein in its emissions when rich Australia won’t? Australia hid behind the US to get away with its unilateralism. But as a country reliant on what it digs out of the ground, this is dangerous behaviour. Many nations and would-be trading partners have not forgotten Australia’s selfishness over Kyoto. It is important Australia goes to Copenhagen with an attitude more in keeping with its supposed reputation for mateship. An ETS signed in law would be a good apology for inaction in the past. Yes, Labor’s CPRS is seriously flawed. The plan is a dog’s breakfast that will initially reward the polluters and pass the problem on to other nations to solve. The bill’s carrots will probably add to emissions in the short term. But it is the only proposal on the table likely to pass parliament. And passing it would make it a defining statement about Australia’s sense of responsibility as a good citizen to the rest of the world. There have been 13 inquiries on climate change since the last election all pointing towards an emissions trading regime. By signing a CPRS into law prior to Copenhagen, Australia is telling the world it is serious about addressing climate change. The Greens should support this position. There is nothing in the legislation that cannot be fixed when the Greens get the balance of power. Greens Senator Christine Milne probably knows more about climate change than anyone in the parliament but she must know there are no other realistic proposals. She also knows Australia’s responsibility to the wider world as part of the developed nations that actually use all the energy. On Thursday she told parliament one of the frustrations in the negotiations leading up to Copenhagen is getting the West to agree on an ETS financial mechanism that favours developing countries. Milne’s frustration is understandable. This is undoubtedly a problem and one that Australia can play a much bigger part in resolving. But developing nations won’t hear the Senator’s pious wishes. If they think of the Australian Greens at all it will be that they voted against the CPRS. The party is playing Greener than Thou politics but they end up taking sides with the denialists. They may want a perfect ETS but that is not on the table. What is on offer is an apology. They should vote for that. While the media gorges on the blood sport of the Australian federal coalition leadership challenge, an important new document outlining the seriousness of climate change has been almost completely ignored. The Copenhagen Diagnosis is a summary of global warming peer reviewed science of the last few years. Produced by 26 scientists led by the University of NSW Climate Research Centre, the Diagnosis shows the effects of global warming have gotten worse in the last three years. It is a timely update to UN’s Intercontinental Panel on Climate Change 2007 Fourth Assessment document (IPCC AR4) ahead of the Copenhagen conference. (photo credit: m.o.o.f)While denialists will ignore this as they have all other science gone before it, the diagnosis report (pdf) is sobering reading for anyone concerned about the planet. Researchers found greenhouse gas emissions, global temperatures, ice-cap melting and rising sea levels have all increased since IPCC AR4. Global carbon dioxide emissions have risen 40 percent in two decades. The global temperature has increased half a degree in the last 25 years. The Greenland and Antarctic ice-sheets are disappearing faster than ever and the sea level has risen 50 millimeters in the last 15 years. The document unambiguously blames human factors for the century long temperature increase and says the turning point “must come soon”. If we are to limit warming to 2 degrees above pre-industrial values, global emissions must peak by 2020 at the latest and then decline rapidly. The scientists warned waiting for higher levels of scientific certainty could mean some tipping points will be crossed before they are recognised. By 2050 we will need to be in a post-carbon economy if we are to avoid unlivable temperatures. The document puts the lie to the refrain of denialists that temperatures have gone down since 1998. The reality is the last ten years have been warmer than the previous ten and the long-term trend is unambiguously upward. In 2008 there were two temporary cooling influences, a La Nina (ENSO) and low solar output (the lowest level of the last 50 years). The Copenhagen Diagnosis says these two factors should have resulted in the 2008 temperature being among the coolest in the instrumental era, whereas it was the ninth warmest on record. Ten year variations such as sunspots and ENSO are why the IPCC choose 25 year cycles to show trend lines. Most NASA measures of the 1990s have shown a warming between 0.17 and 0.34 °C and with an increase of 0.19 °C between 1998 and 2008. The British Hadley Centre’s most recent data had smaller warming trend of 0.11 °C for 1999-2008 but this excluded the Arctic, which has warmed strongly in recent years. The Northwest and Northeast Passages were simultaneously ice-free in 2008 for the first time in living memory and the feat was repeated in 2009. The document says climate change will almost certainly cause more extreme weather events. This means more frequent hot days, hot nights and heat waves, fewer cold days and cold nights, more frequent heavy rain, more intense and longer droughts over wider areas, and an increase in intense tropical cyclone activity in the North Atlantic. There is also evidence of more drought, typhoons and bushfires all linked to anthropogenic climate change. The document is timely as the Australian parliament debates the Carbon Pollution Reduction Scheme. Whatever the merits of the scheme, its opponents should remember just one in four Australians think climate change fears are exaggerated. The other 75 percent may not agree on what to do but accept their scientists are telling them there is a problem. They look to lawmakers to chart out a future to best ride out the unpleasant shocks, not pretend the shocks do not exist. Copenhagen is happening in a week’s time. None of the 198 governments want to be there and none will win from climate change. But all recognise it exists and needs to be dealt at the global level. Other than the powerless Pacific island nations, no country is yet obviously threatened enough to make it a success. The vested interest of each government will ensure less action will occur than is needed. Copenhagen will result in pious platitudes and little concrete action. Australia has a small but significant role to play to ensure there isn’t a tragedy of the commons. It consumes less than 2 percent of the world’s resources but that is a significant amount for a country with just 0.003 percent of the world’s people. The CPRS is unlikely to reduce carbon usage by much. Yet its potency as a symbol is undeniable. The CPRS is a referendum on climate change. This is something the Nationals and right-wing Liberals intuitively understand and the Greens do not. The Greens have missed a golden opportunity to be on the side of the symbol (and they can fix it when they gain the balance of power after the next election). In a rare moment of sense among the Liberal horserace shenanigans, Malcolm Turnbull expressed it best yesterday. No political party with any pretensions to govern responsibly can afford to turn their back on climate change. The exact future of climate may be unknowable but the study of our past is providing overwhelming evidence of trends that cannot be ignored. Scepticism is justified only when the facts are unclear or ambiguous and the Copenhagen diagnosis is neither. A simple fact needs to be stated and there is no polite way to say it. Those people who say anthropogenic global warming is a myth are either liars protecting vested interests or mental incompetents. Either way, the only proper course is to ignore them. The stakes are too high. Bernie Ripoll’s parliamentary committee handed down its long-awaited report (pdf) into financial services this week. The report commissioned after the Storm Financial collapse identified several shortcomings with the current market-based regime of financial services regulation. It has proposed legislative changes to ensure financial advisers place their clients’ interests ahead of their own. However it stopped short at calling for an immediate outright ban on financial commissions which are often the subject of severe conflicts of interests which are not disclosed to customers. The current regulation of financial service providers is governed by the so-called ‘efficient markets theory’ of the 1997 Wallis Report. This is the “light touch” belief that markets drive efficiency and regulatory intervention should be kept to a minimum to allow markets to achieve maximum efficiency. The only regulation that protects investors is limited to conduct and disclosure requirements on Australian Financial Services Licence holders. ASIC issues these licences which are mandatory for all financial services businesses but are easy to get. The Corporations Act 2001 has conflict of interest disclosure provisions but did not include margin lending until October this year. This is the practice of lending for the purpose of investing with the loan secured against the value of the borrower’s portfolio. When the value of the equity falls below an agreed proportion of the portfolio value, a margin call requires the borrower to either contribute additional equity or sell shares. There are 18,000 financial advisers in Australia, and most rely on commission-based remuneration rather than fee for service. They get their money from product manufacturers on the funds invested by retail investors. The manufacturers recover the costs from the overall charges within the investment products. The Storm Financial collapse had a “catastrophic effect” on many investors who did not get an opportunity to respond to margin calls and were sold out of their portfolios at the bottom of the market in late 2008. 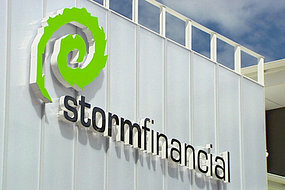 3,000 out of Storm’s 14,000 clients had leveraged investments. The Townsville-based company encouraged these people to take out loans against their equity to generate a lump sum to invest in the share market. Clients had a margin loan with an 80 to 90 percent loan to value ratio (LVR) and Storm charged a fee of seven percent for their services. Storm tendered out the margin loans to Commonwealth Bank and Macquarie Investment Lending. Clients were encouraged to increase the size of these loans on the basis of increased home value. The paperwork left a lot to be desired with many signing blank loan applications or had their income figures or asset values overstated. Leveraged investments work well in a rising market but losses are magnified during a sudden market fall. When world markets collapsed in September 2008, many loans fell into margin call territory. The 90 percent LVR suddenly became Storm’s Achilles heel. The 10 percent left was not enough to clear home loan debts. Many clients said they might have been able to repay but neither Storm nor the bank issued a margin call warning them of the problem. They didn’t find out until December when they moved into negative equity after their portfolios have been sold down at the bottom of the market without their knowledge maximising their losses. Storm and the banks could not agree whose fault that was. Storm claimed bank information was outdated but the banks claimed Storm were unresponsive to margin loan queries. They say no other financial group had the same issues as Storm advising clients. The banks said it was the advisers’ responsibility to resolve the margin call with the end customer. Storm used a 2002 margin call precedent to claim it was the banks’ responsibility to inform the customer. In December Storm co-director Emmanuel Cassimatis met senior Commonwealth staff to arrange to consolidate client debt into a large corporate debt facility to be repaid over three to four years. Cassimatis asked for a further loan to cover his customers’ margin calls. Commonwealth turned this proposal down. Cassimatis blamed this decision on Storm’s demise. But Commonwealth’s hands were tied – Storm had already been pronounced insolvent. They called in a $10 million loan. This did not stop Cassimatis paying a $2 million dividend to himself and his wife (and co-director) Julie. This payment was frozen after an ASIC-initiated court action in February. Storm sacked its 115-strong workforce and Worrells were appointed liquidators in March. Despite the collapse, there were plenty of rich pickings to be had. The Cassimatises had boasted a fortune of about $450 million and were number 22 on the 2008 Sunday Mail’s Queensland Top 100 Rich List. In February Parliament appointed a Joint Committee on Corporations and Financial Services. Its role was to examine the role played by financial advisers in collapses such as Storm and Opes Prime. It would also look at the role of commissions in the financial services industry and licensing and consumer protection measures. The inquiry was announced a day after ASIC chair Tony D’Aloisio noted an “inherent conflict” concerning financial advice in Australia’s corporations law. Ripoll’s committee noted a major flaw in Storm’s “one size fits all” financial advice irrespective of client circumstances. This aggressive leveraged investment strategy was inappropriate for people on average incomes or about to retire. He also noted Storm downplayed the risk customers could lose their family homes while overselling professional indemnity insurance. The report called for the legislation of fiduciary duty to require financial advisers place their clients’ interests ahead of their own. Wikipedia defines a fiduciary duty as a legal or ethical relationship of confidence or trust between two or more parties. This law which would address the conflict of interest of financial advisers. Ripoll stopped short at calling for a ban on commissions from product manufacturers and supported the banks’ view they subsidise the cost of advice. Instead it called for more self-regulation and a longer term “shift” away from commissions. Philippines President Gloria Arroya has placed three southern provinces under emergency rule after the death toll rose to 46 in a high-profile massacre on the island of Mindanao yesterday. A presidential palace directive said the provinces Maguindanao, Sultan Kudarat and the city of Cotabato were under a state of emergency “for the purpose of preventing and suppressing lawless violence in the area”. The death toll almost doubled overnight after police and soldiers found 22 bodies in a hillside mass grave to add to the 24 dead they found a day earlier. The massacre of journalists, supporters and relatives of a candidate for local governor has shocked a region used to turmoil and bloodshed. The wife and sister of local gubernatorial candidate, Esmael Mangudadatu, were among the dead and Mangudadatu has accused a political opponent from a rival Amputuan clan of being behind the slayings. About 100 armed men intercepted the convoy yesterday as they drove to the Commission on Elections provincial office in Shariff Aguak town, Maguindanao. The convoy was led by Ebrahim Mangudadatu, who was about to file the candidacy for governor of Maguindanao in the provincial capital Shariff Aguak on behalf of his brother of Ishmael. Mangudadatu’s wife rang her husband to say that she and 50 others had been kidnapped by “Ampatuan’s men”. It was the last time the couple spoke. Mrs Mangudadatu and the other victims were brought to a nearby hinterland where they were executed one after another. Many were beheaded. According to Philstar.com the massacre was the result of a long-running feud between two influential families. The Mangudadatus and Ampatuans were former allies but had a falling out when Esmael declared his intention to run for Maguindanao governor against the governor’s son. 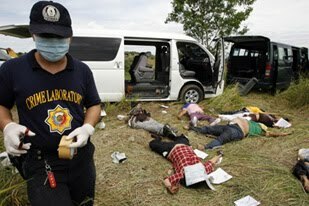 They say the attack was led by Datu Unsay Mayor Datu Andal Ampatuan Jr., also known as “Datu Unsay”. His father Data Unsay snr has been the political powerhouse in Maguindanao for many years and Data Unsay jr has designs on the governorship with the aid of powerful friends. Mindanao rebels say that the local police boss was also implicated in the shooting. Television station UNTV confirmed four of their employees were killed. The National Union of Journalists of the Philippines has urged the government to move to “ensure swift justice on the perpetrators, no matter who they are”. Today 100 journalists wearing black shirts and black arm bands with the words, “Stop Killing Journalists,” staged a protest against the killings in Manila. Another 200 denounced the massacre in southern Davao city. Many are blaming President Arroya for the lawlessness of Philippines southernmost provinces in the run-up to the 2010 election. Maguindanao is part of the Autonomous Region in Muslim Mindanao, the only part of the country to have its own government. The ARMM is also the poorest of Philippines’ 17 regions by some considerable margin (the next poorest has twice the per capita income of the ARMM). 120,000 people have died in the Muslim insurgency lasting 30 years. Many politicians and elected officials in the region maintain well-equipped private armies tolerated well beyond the reach of Manila. According to Al Jazeera, Governor Ampatuan delivered crucial votes to swing 2004 elections in Arroya’s favour, so people in the province fear he may not be punished even if he is found to be behind the killing. Sierra Leone President Ernest Bai Koroma has called on the west to invest in his country on a visit to London. Koroma told the BBC the West African nation is open to investment in tourism and mineral investment in bauxite, iron ore and diamonds. Koroma was spruiking his country at a conference last week where he also hailed the recent Anadarko Petroleum’s discovery of offshore oil. Blair also praised Koroma’s attempts to stamp out corruption which has been a major issue since the country returned to peace. By 2002 the country’s Anti-Corruption Commission had investigated 500 cases but relied on the Justice Ministry to follow the cases up. Politicians were not always keen to act leaving Sierra Leone languishing at the bottom of Mo Ibrahim’s African Governance chart. Recently Koroma has shown signs of stiffening up sacking two ministers after they appeared in court on graft charges. Sierra Leone’s parliament has also approved a new mining act last week to boost government revenue and increase transparency. The Mines and Minerals Act 2009 followed the recommendations of report earlier this year by the National Advocacy Coalition on Extractives. The report argued that because of generous tax incentives, weak capacity and official corruption, the government has not received a fair share of mining proceeds. With commodity prices rising and a recent oil discovery in the country, the government was keen to introduce new regulations before investors begin a new mining phase. In September Sierra Leone also signed the Comprehensive Africa Agriculture Development Programme (CAADP) compact. formally adopting the African Union initiative, drafted in Maputo in 2003. The CAADP aims to ensure Africa’s agricultural development as a catalyst for socio-economic growth and its goal is to eliminate hunger and reduce poverty through agriculture. At the signature ceremony Koroma said two thirds of his people rely on agriculture for their livelihoods and it contributes almost half of the Gross Domestic Product. “We regard CAADP as being pivotal to our poverty and hunger eradication efforts”, he said. There is still a long way to go for one of Africa’s poorest countries. 50,000 Sierra Leoneans died in the civil war during the 1990s. 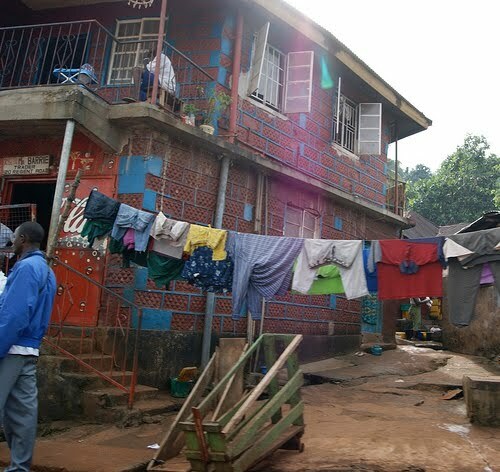 The UN Development Program judged Sierra Leone the world’s least developed country in 2000. Since then the country has undergone two successful elections. Koroma won the most recent election in 2007 in a run-off against vice-president Solomon Berewa. Koroma is following the previous administration concentrating on nation rebuilding. The full transcript tells of a remarkable case treated only superficially by many parts of the Australian media because of the bad light it cast the country’s two main media families: the Murdochs and the Packers. The scions James Packer and Lachlan Murdoch come out of the affair with their reputations badly damaged and capable of Alexander Downer-like feats of forgetfulness. Only the Fairfax Sydney Morning Herald ran with the story of the “billionaires’ forgetfulness”. The executive directors faced the music after the telecommunications company collapsed in 2001. Rich and Silbermann were two of One.Tel’s four executive directors. Rich was joint chief executive and Silbermann was finance director. The other two Brad Keeling and John Greaves settled out of court. Rich alleged former Prime Minister John Howard used his brother Stan to pressure him to settle because of Kerry Packer’s interest in the case. Although James Packer was a non-executive director, the judge said he was substantially involved in One.Tel’s day-to-day affairs. Rodney Adler and Lachlan Murdoch were also non-executive directors during this time. The key to the case was One.Tel’s financial position in the first four months of 2001. ASIC’s case was the reality was much worse than publicly presented and the defendants deliberately withheld this information from the board. The defendants said One.Tel’s position was inextricably linked with Packer’s Publishing and Broadcasting Ltd and Murdoch’s News Ltd. At the time, PBL and News told the ASX they were “misled” by the directors. ASIC then sought orders for the defendants to be disqualified from managing or being a director of any company. The judgement eight years later had 104 affidavits, 425 exhibits, 37 witnesses, 232 hearing days, 16,642 pages of evidence and 4,384 pages of final written submissions due to the complex nature of ASIC’s case. ASIC tried to prove the defendants breached statutory duty of care and diligence by failing to disclose to the board the true financial position of a large multi-national company over four months. The defendants attempted to show the end result of voluntary administration was related to the way One.Tel was governed as well as the complex relationship with the Packer and Murdoch families, including the extent to which PBL and News influenced decisions. Justice Austin rejected over half of the witness evidence from ASIC’s forensic accountant. PricewaterhouseCoopers partner Paul Carter was retained by ASIC to prepare a report on its evidence but much of that evidence came from people not called at the trial and Austin ruled it inadmissible. ASIC used complex financial documents and tables of financial information based on daily cash flow spreadsheets, management accounts, trial balances and aged creditor reports. Austin was unimpressed by much of this material which was often merely data and did not materially add to the case against Rich and Silbermann. Justice Austin was also unimpressed by the “strength of recollection” of the testimony of Packer and Murdoch. Packer admitted he had deliberately tried to forget the events of the period. Rich’s lawyers successfully undermined ASIC’s claim Packer was a “thoughtful and intelligent” witness. Justice Austin said Packer’s evasiveness in cross-examination, argumentativeness, and his inability to remember key details undermined his reliability. Justice Austin also said Packer’s evidence over whether his father Kerry made any money out of One.Tel was “confusing and unsatisfactory.” In nine days of testimony, Packer said “he could not recall” more than 1,500 times. Lachlan Murdoch was equally vague and amnesiac as Packer. Murdoch used the phrase “I do not recall” almost 900 times for a daily rate higher than Packer. 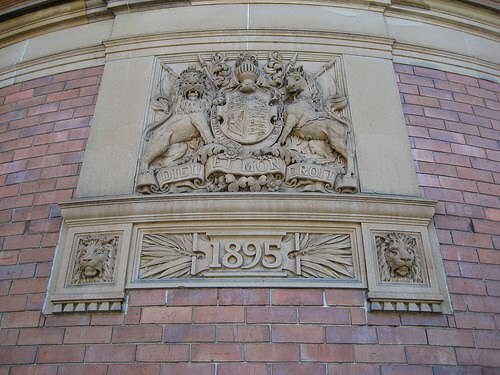 However, Justice Austin said the implication of Murdoch’s evidence was less damaging because he operated at a distance from One.Tel, “physically and in terms of engagement.” According to Austin, Murdoch played the News Corp company line happy that PBL was the lead investor close to the business and he distinguished between the company position and his own position as a director of One.Tel. After 3,800 pages Justice Austin’s conclusions were brief. “ASIC has failed to prove its pleaded case against either of the defendants. Therefore judgment should be entered for Mr Rich and Mr Silbermann in the proceedings.” ASIC is reviewing the judgement for grounds for an appeal. ASIC Chairman Tony D’Aloisio said last week the case should provide important guidance to executives and directors on the exchange of information between the board and management. “‘The case has also provided important guidance to ASIC on how to run similar matters in the future,” he said. Ian Ramsay, director of centre for corporate law at Melbourne University, agreed the judgement gave “strong lessons” for ASIC. Speaking on ABC’s Inside Business today, Ramsay said ASIC’s case was too broad. Ramsay said the case may be of help to the special purpose liquidator’s $230 million claim against Packer and Murdoch for a cancelled rights issue. ASIC didn’t have to prove the defendants intentionally misled the board or withheld information from it, but only they breached their duty of care and diligence to keep the board informed of the company’s financial position. Their failure to prove this left open the question whether other directors including Packer and Murdoch were careless in failing to find out. That question has yet to be decided.